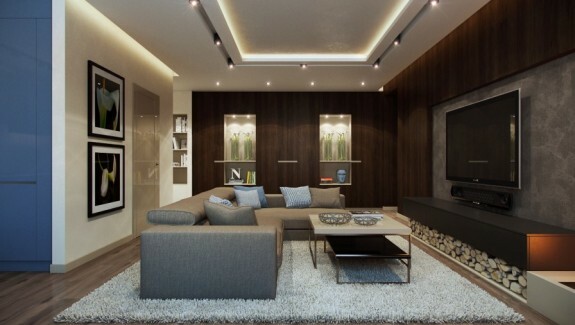 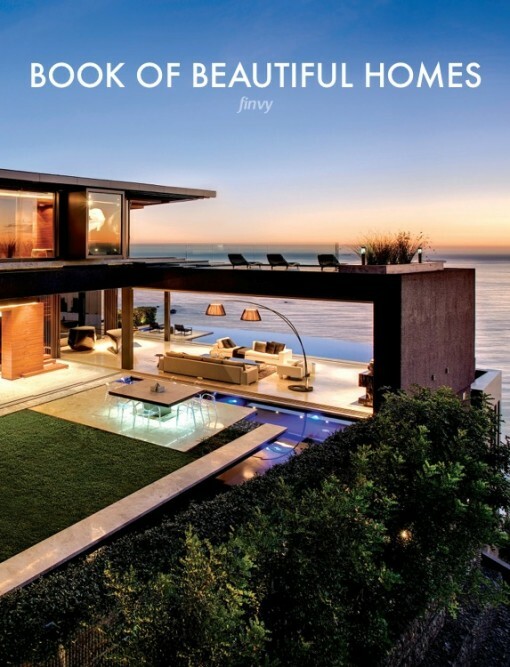 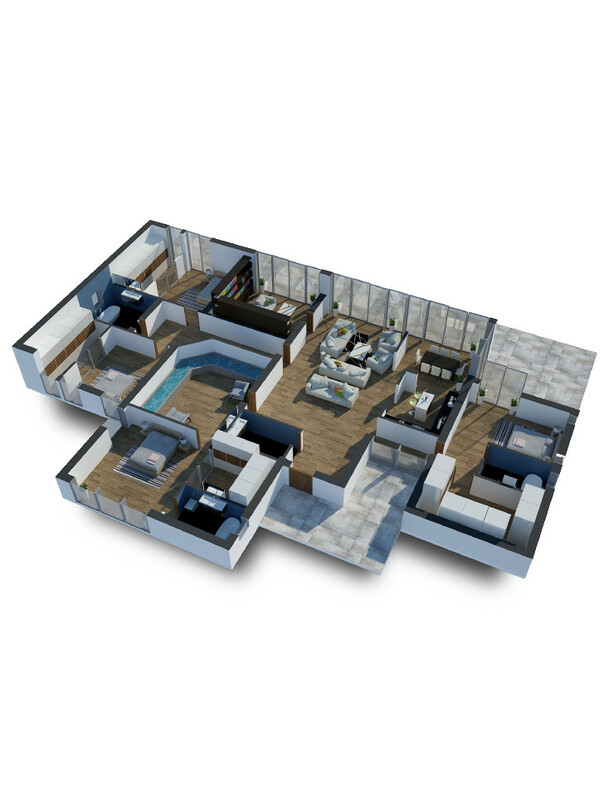 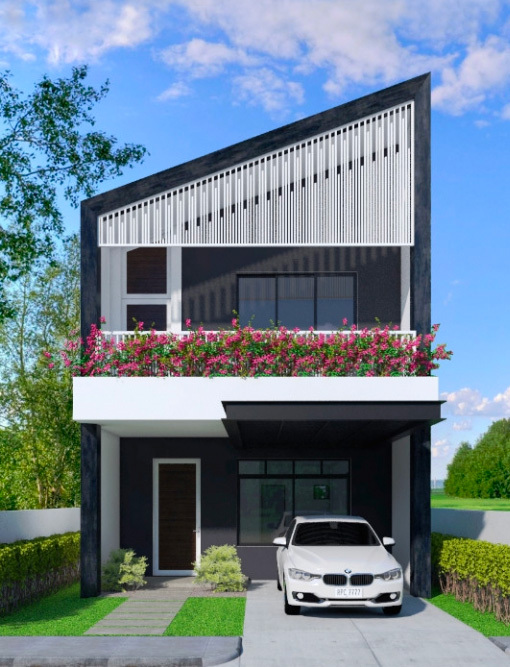 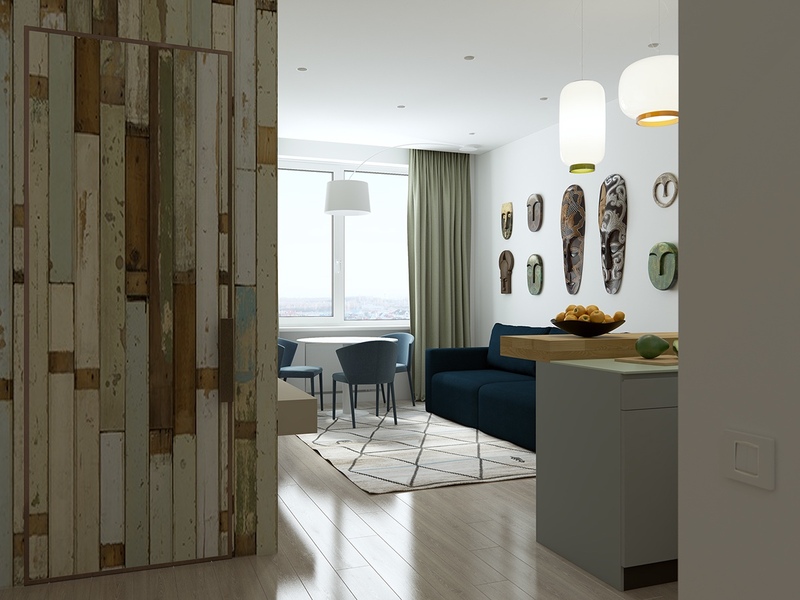 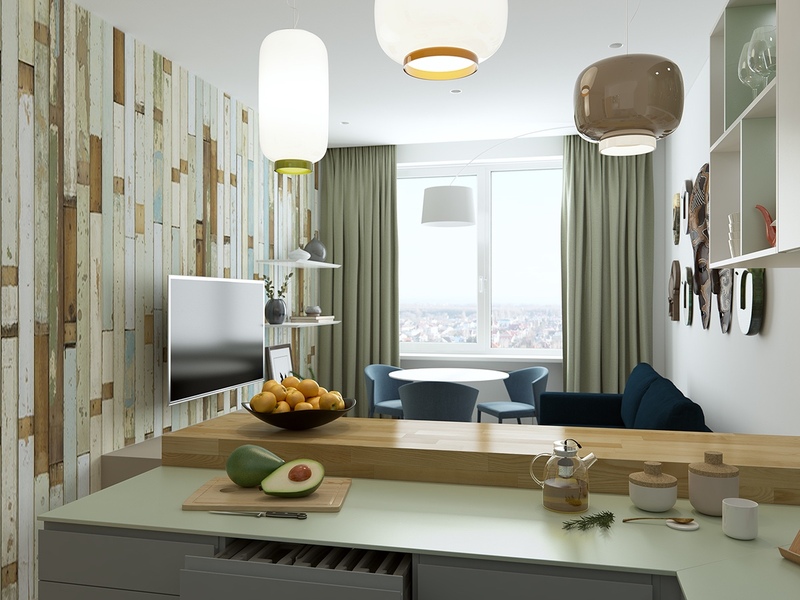 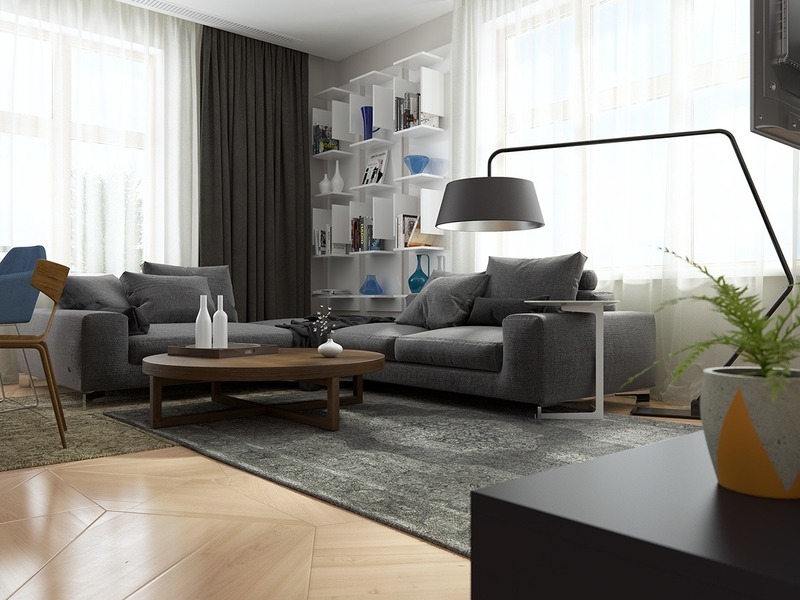 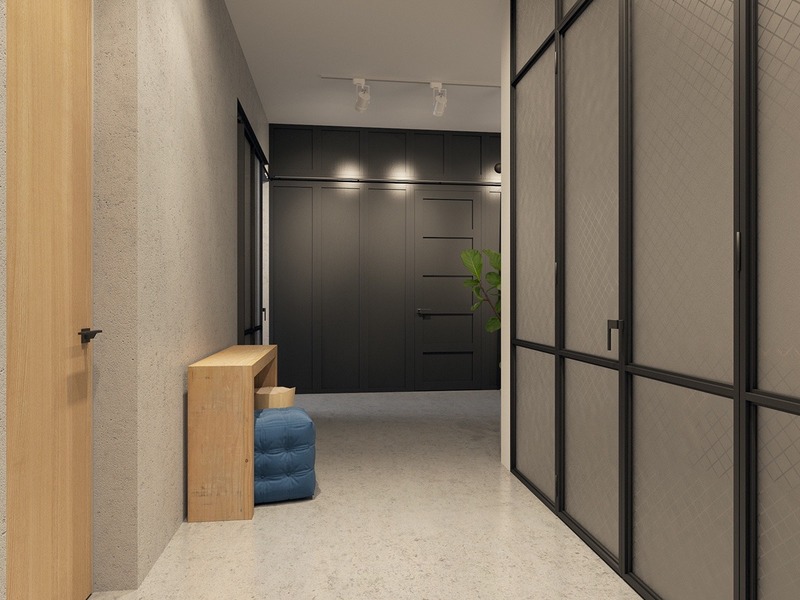 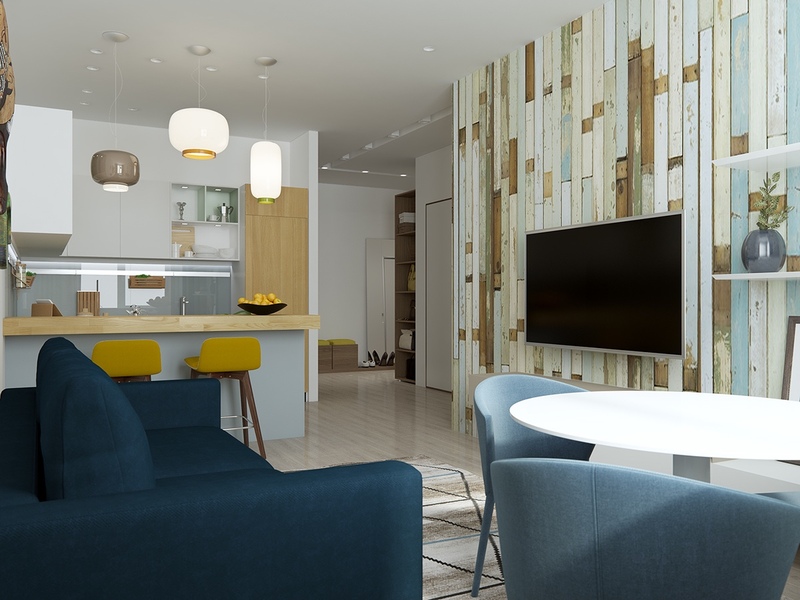 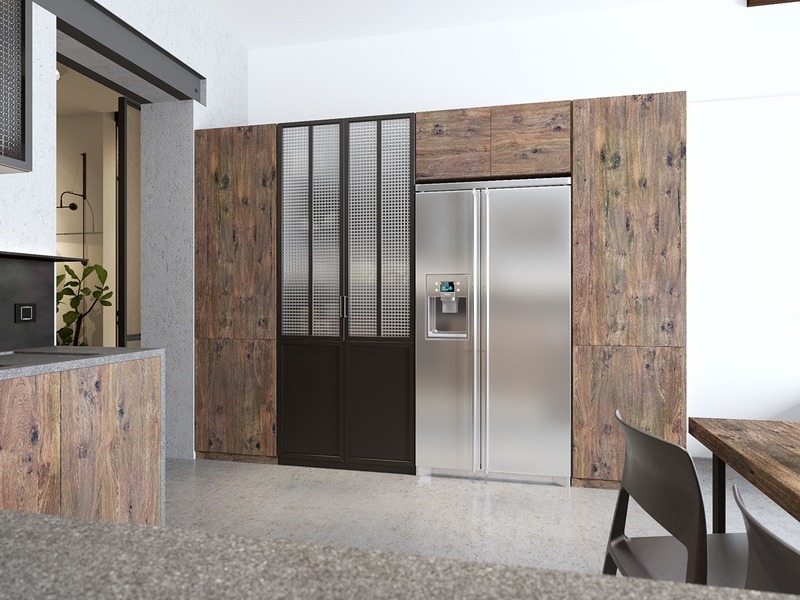 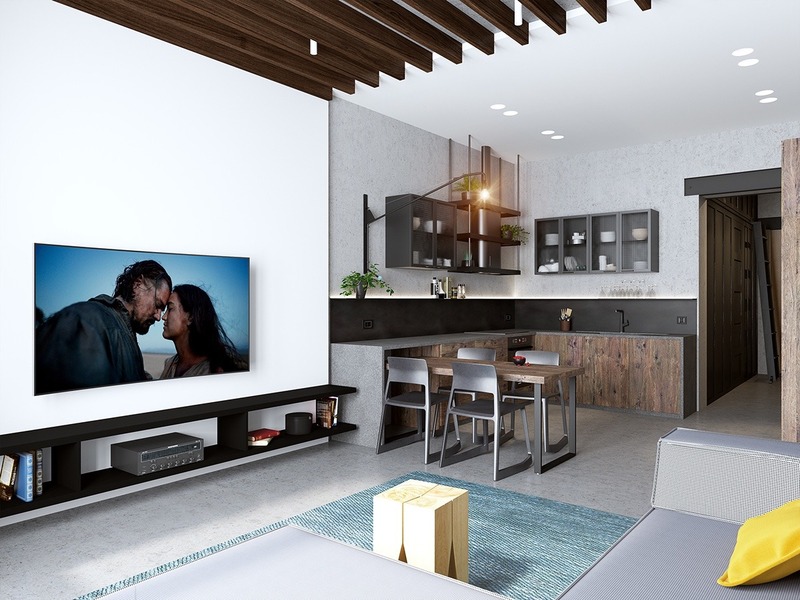 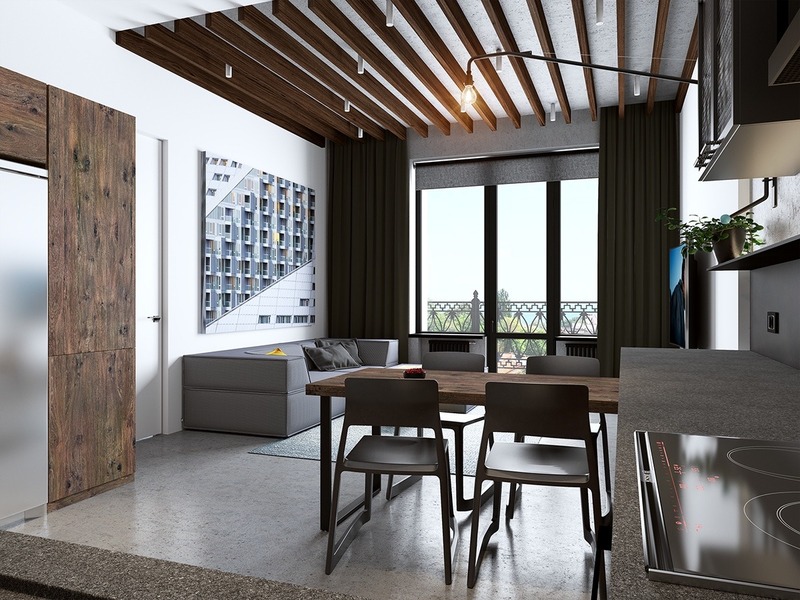 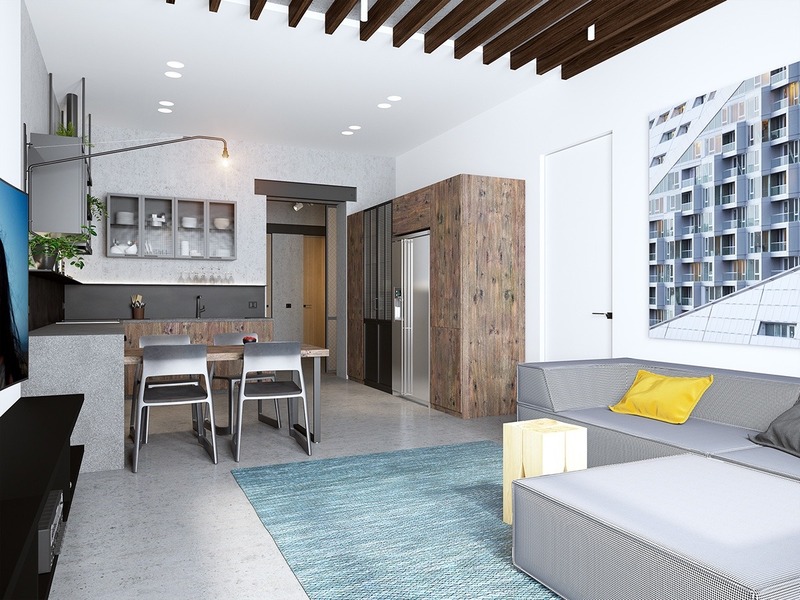 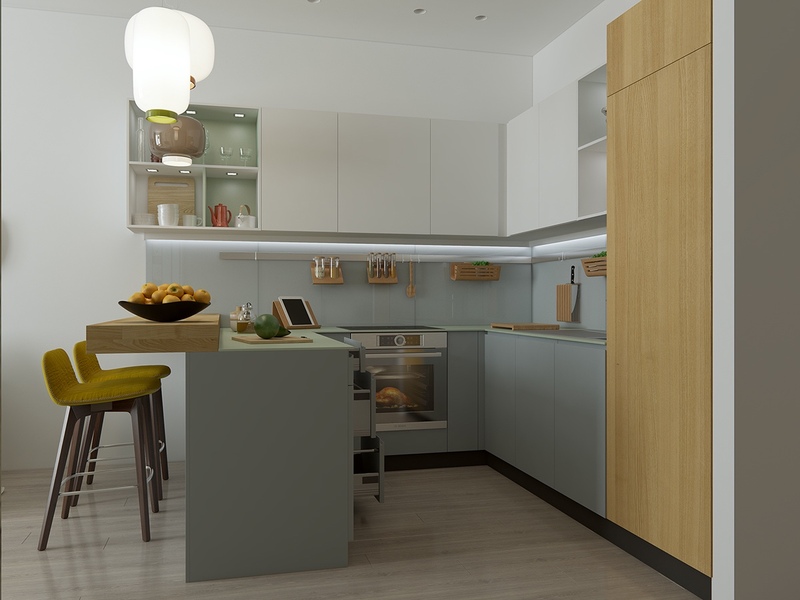 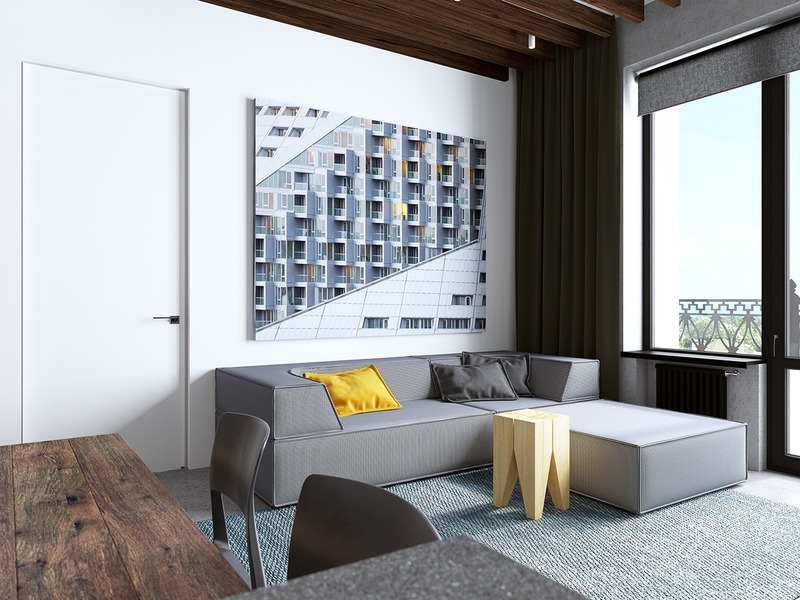 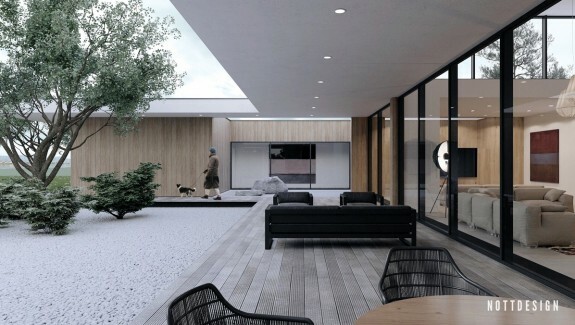 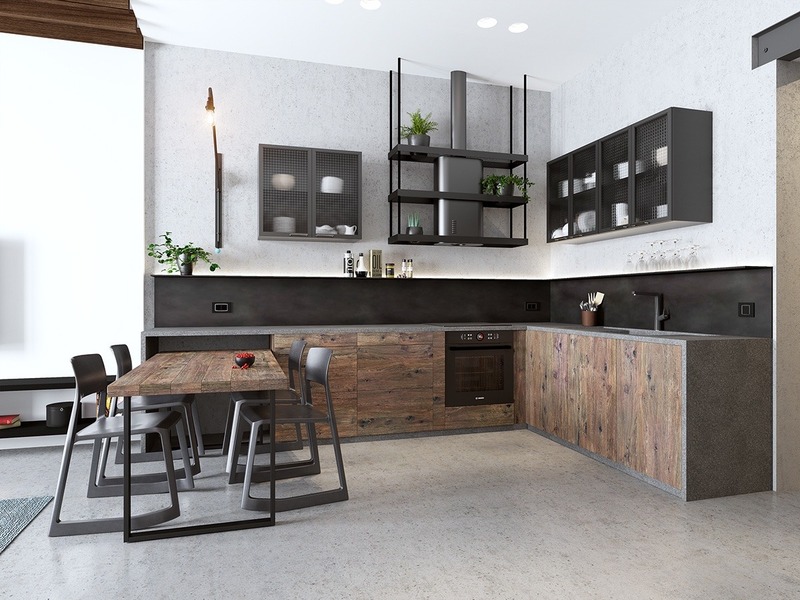 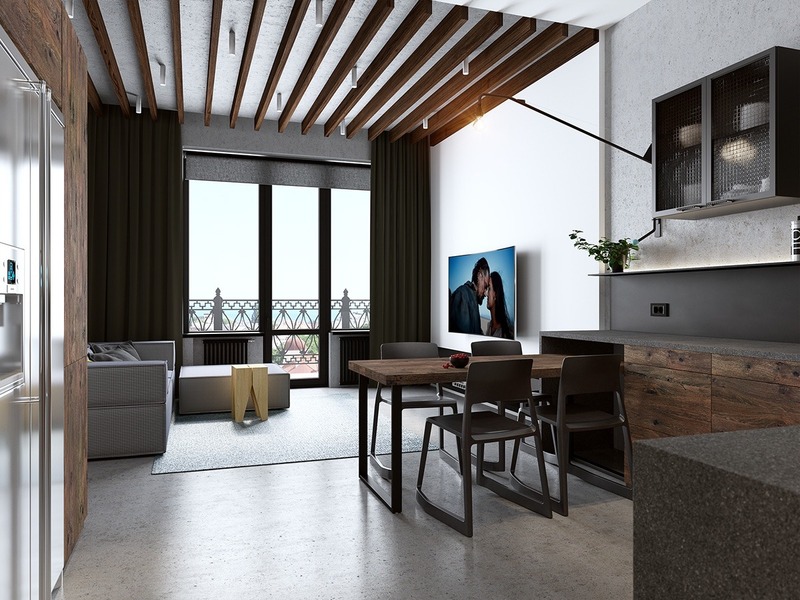 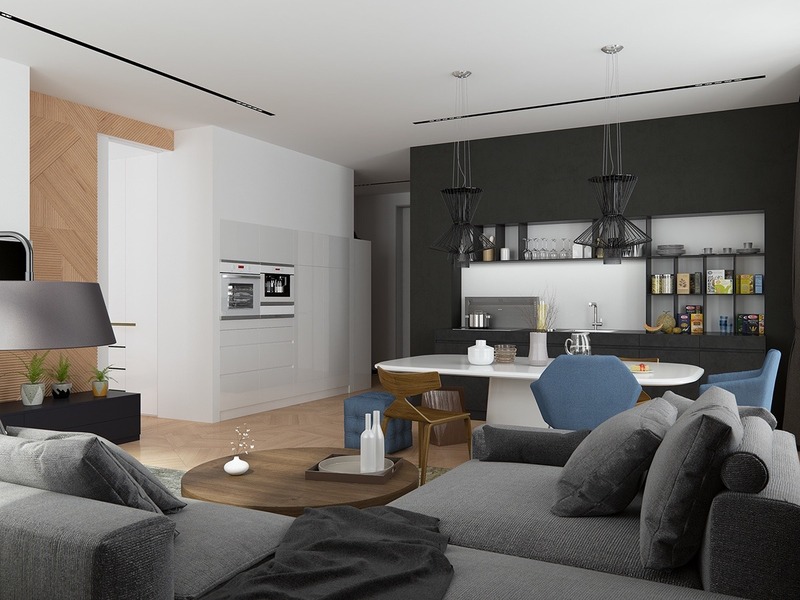 Open concept apartments offer a sense of openness and visual freedom but certainly present stylistic challenges for designers and residents alike. 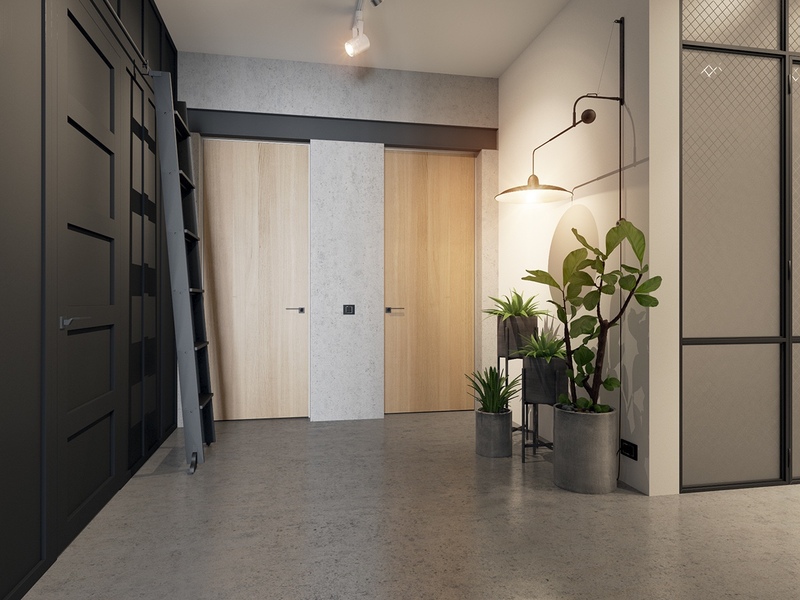 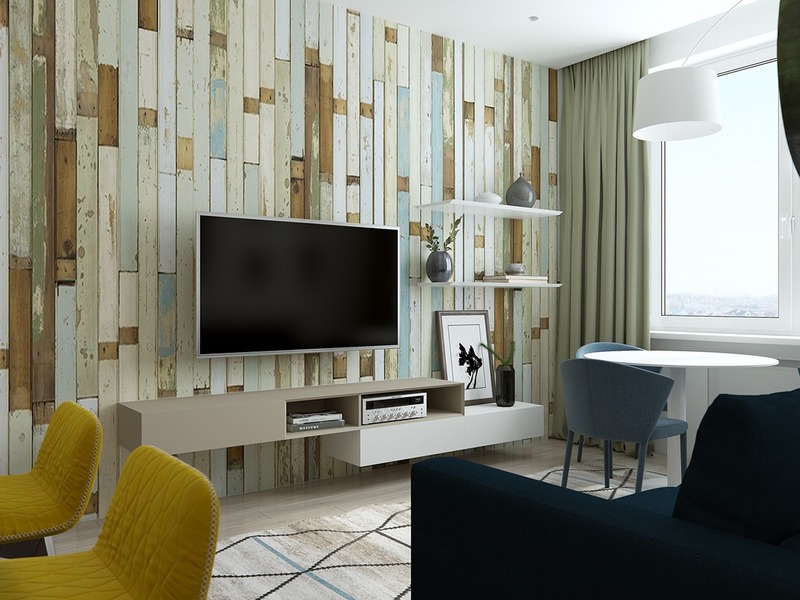 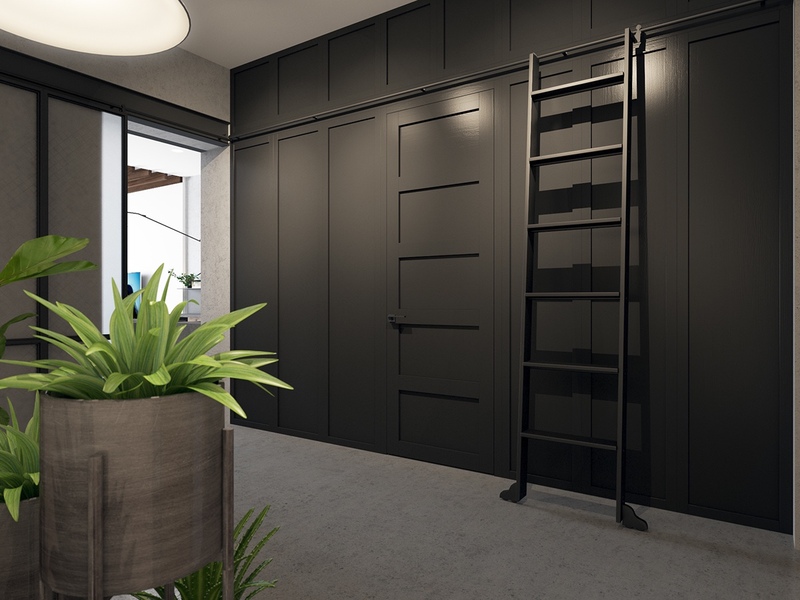 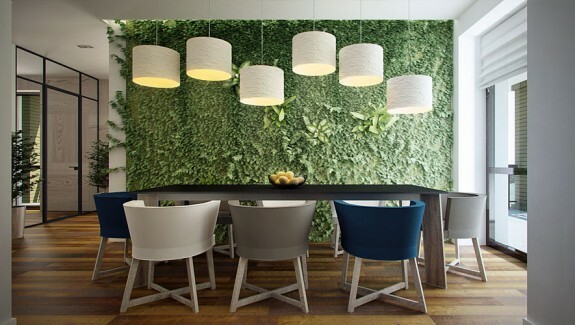 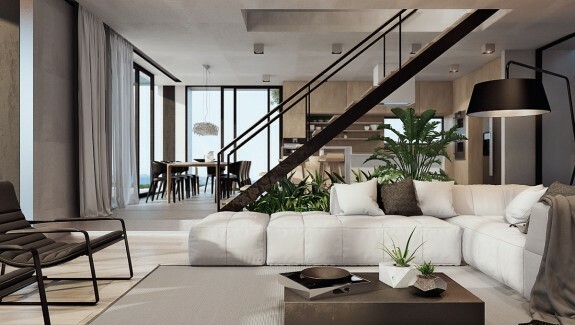 Much like studio apartments, these spaces require a certain level of aesthetic cohesiveness while marking each functional space with its own sense of individuality – it's all about balance. 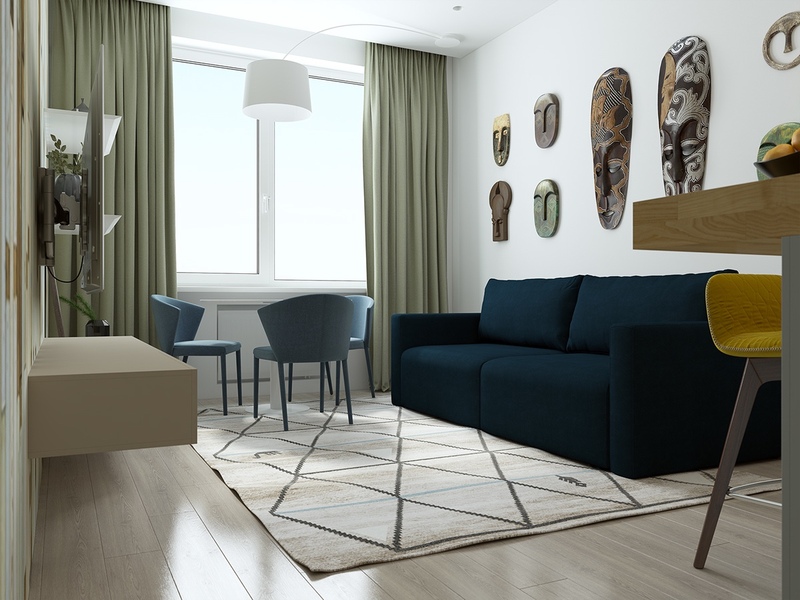 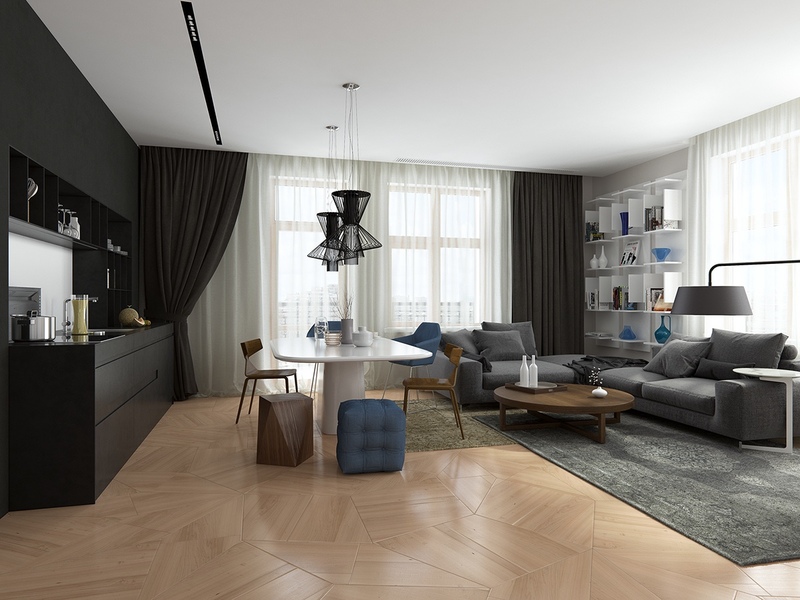 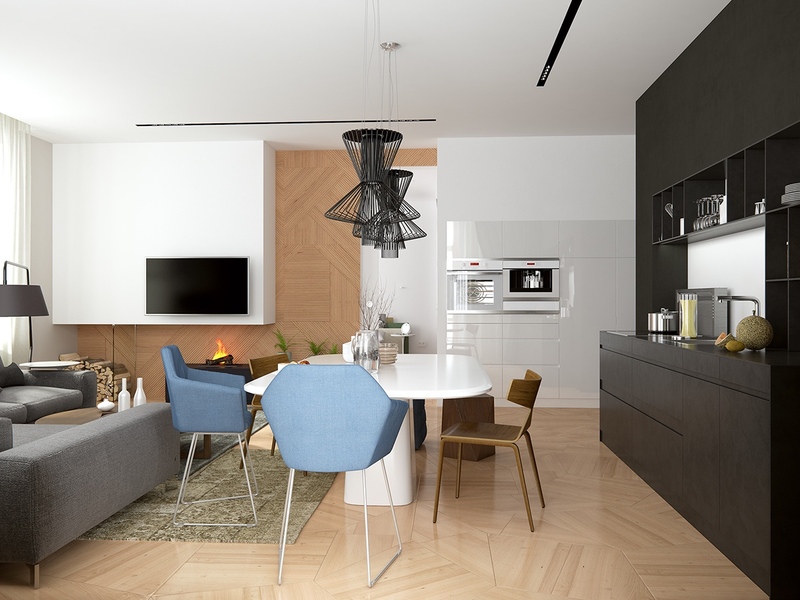 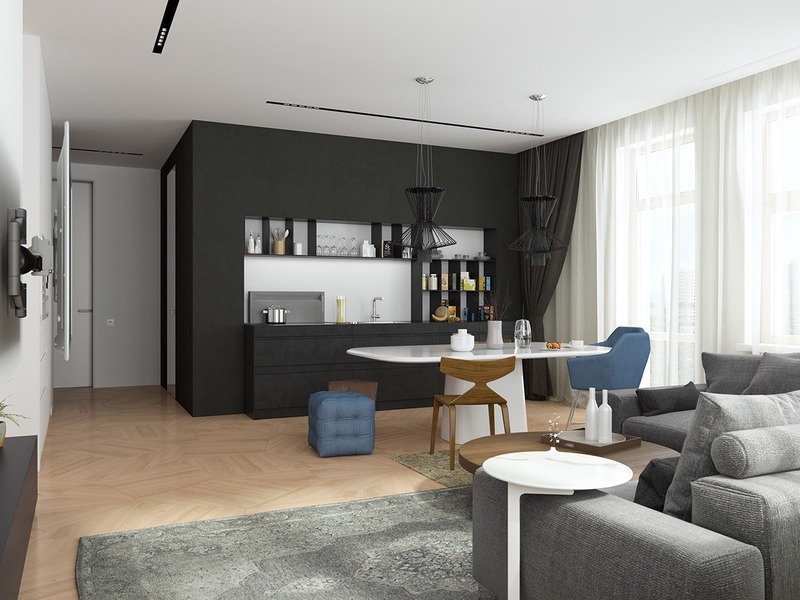 This tour presents three open concept apartments that get it right, each one beautifully visualized by Ukraine-based architect and interior designer Artyom Bezfamilniy. 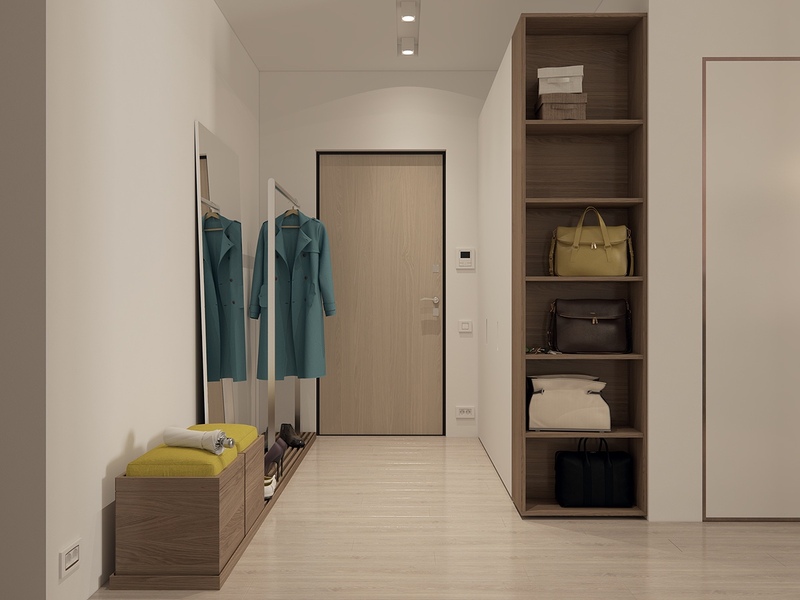 From casual to retro to minimalist, each one demonstrates how even restrictive layouts retain lots of opportunity for expression.